Upper Coll winterscape, by John MacLean, taken from 'Loch Chuil Uaraich'. An t-Sràid Àrd, Upper Coll, by John MacLean. Margaret's home roots are on the island of Lewis, which is part of the Outer Hebrides of Scotland. She was brought up in the beautiful little village of Col Uarach (Upper Coll), which is nestled on the shores of Broad Bay, to the north of the town of Stornoway. Like the rest of her schoolmates, her first language was Scottish Gaelic, but from the time she went to school at the age of five, the main focus was on learning English. Margaret says "our teachers were good and we learned well, but it was on gaining maturity that I fully appreciated the shameful neglect that formal education made of the precious gift that we had in our own language and culture. It has, however, been my good fortune that English was confined to the classroom and that all our play and communication, in our formative years, was in Gaelic". In Margaret's home township of Upper Coll, activities centred around the village, and with few cars, few telephones and no television, the great outdoors was her playground. She and her friends took full advantage of the moorlands to the west, the little glen 'Gil Thàiseadar*' (a' Ghil' **), to the north, the machair lands, Coll Beach and Broad Bay to the east. She took advantage of any opportunity to be outdoors, and was always ready to help her father and grandfather with outdoor activities such as fishing, gathering bait, digging peat, shearing and dipping sheep, tending crops and even a bit of sneaky salmon-poaching in her teens! Television and its effect on Gaelic culture, didn't encroach on island life until Margaret's generation were almost in their teens, and as such, she and her contemporaries have an enviable grasp of a lifestyle which has now all but disappeared. From an early age Margaret sang her heart out whenever she was on her own in these open landscapes, particularly when sent to fetch her father's sheep from their grazing on the Lewis moors. "My favourite auditorium was the little glen to the back of our house (a' Ghil*), as I knew that I could sing as loudly as I wished and not be heard by another soul". Margaret recalls that "at that time any music teaching we encountered in school was far removed from the traditional music and song we were exposed to outwith its walls, and much of it was connected to the annual competitive festival run by An Comunn Gaidhealach (The Mod). There were local versions of the festival and we were all encouraged to compete. Much later in life, and more by accident than design, I competed for the Royal National Mod's premier award, the Gold Medal, and much to my own surprise, I won it. The Gold Medal competition demands a more classical style of singing and strict adherance to the written score. For devotees of the native idiom, such as myself, who enjoy the freedom of ornamentation and individual style, this was not an easy transition, but I had good teachers and did what was required of me on the day. I did, however, revert back to my native traditional singing style, which is my chief interest, and which comes more naturally to me"
Performing musical commission 'A Bhanais Ghaidhealach' at Blas Festival 2013. The winning of the Gold Medal changed Margaret's life in many ways, and launched her into a career which she had given little or no thought to when singing, as a youngster, in the wilds of Lewis. She has, since then, performed around the world and has recorded three highly acclaimed albums, and collaborated on many more. 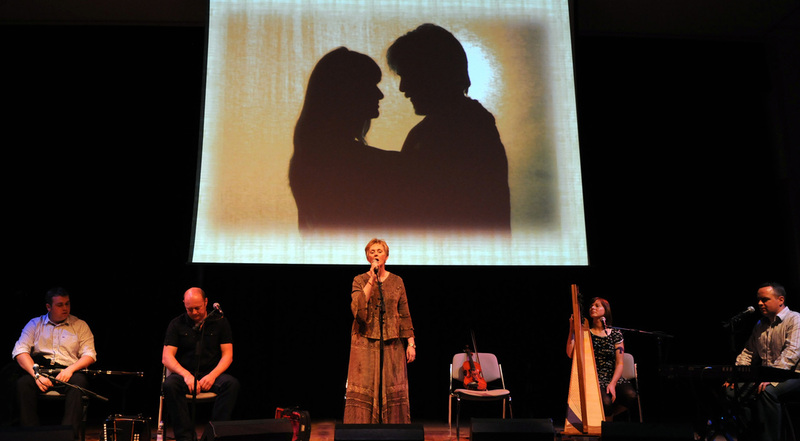 Margaret continues to perform in Scotland, and beyond, and is also in demand as a teacher and lecturer of Gaelic song. She has strong links with the Irish Gaeltacht, where she has been undertaking cultural exchange trips *** for over 20 years, and some of the musical collaborations on her latest CD, 'Togaidh mi mo Sheolta', is testament to this. Margaret was one of the core Gaelic song specialists tasked with cataloguing sound archives from the School of Scottish Studies, BBC and Canna Collection, for the ground-breaking online digitial archive 'Tobar an Dualchais / Kist o' Riches'. As well as appearing on numerous television shows and series, Margaret has also recorded rare Gaelic song material for the soundtracks of such films as Am Pòsadh Hiortach (The St Kilda Wedding), Na h-Eilthirich (The Emigrants) and Innsean an Iar (BBC Alba version of Hebrides: Islands on the Edge), as well as a National Trust commissioned compilation of Jacobite songs for the new Visitor’s Centre at Culloden Battlefield and for the newly refurbished Highlanders' Museum at Fort George. Her live performances have taken her to many corners of the globe and she has performed at numerous festivals and events. Although perhaps best known for her "exquisite a-capella singing", Margaret also performs with the cream of Gaeldom’s musicians; piping brothers Allan & Iain MacDonald, harpist Ingrid Henderson, piper Angus Nicolson, pianist/fiddler Alan Henderson and fiddler Iain MacFarlane (both of Blazin Fiddles). Her two recordings with Allan MacDonald; Fhuair mi Pòg and Colla Mo Rùn, are recognised as classics within the canon of British folk music, and her latest solo album, Togaidh mi mo Sheòlta, was released to great critical and listener acclaim. In 2008 she was voted 'Gaelic Singer of the Year', at the Scots Trad Music Awards and in 2011 was appointed 'Musician in Residence' at Sabhal Mòr Ostaig; Scotland's Gaelic College, on the Isle of Skye. Margaret has adjudicated at singing competitions during the Royal National Mod, lectured annually on Gaelic song themes to students on the BA Hons Traditional Music Degree Courses at the Royal Conservatoire of Scotland and the BA Hons Gaelic and Traditional Music at Sabhal Mòr Ostaig and leads courses and lectures on Gaelic Song and related history at various institutions and events. In 2012 she was awarded the Blas Festival Commission for which she created the highly acclaimed show 'A Bhanais Ghaidhealach'. She recently graduated MSc in Material Culture and Gaidhealtachd History at Sabhal Mòr Ostaig. ** a' Ghil (gil) - from Old Norse - the word 'gil' means gully/ravine/gorge/cleft, and it appears in placenames such as Uadragil / Idrigil (outer glen or gully), in Skye and Mellon Udrigle / Meallan Ùdraigil (little hill by the outer glen) in Wester Ross. *** Dàimh ri Gaidhealtachd na h-Eireann - Cuairt nam Bàrd, Willie Clancy Summer School, Éigse Dhiarmuid Uí Shúilleabháin, Feile Joe Heaney, Earagail Arts Festival, The Annual Blasket Island Commemoration, Eilean Thoraidh, Leabhar Mòr na Gàidhlig (An Doire, Beul Feirste, Innse Oir, Castlebar), Scoil Cheòil an Earraigh. Some of the photography on this page is by John MacLean, from Upper Coll. To visit his website please click here. Click on the video below to see an audio visual slide show of my home island and click on the map below to explore the village of Upper Coll and the Isle-of-Lewis. Isle of Lewis, a photographic audio visual slide show. from James Smith on Vimeo.